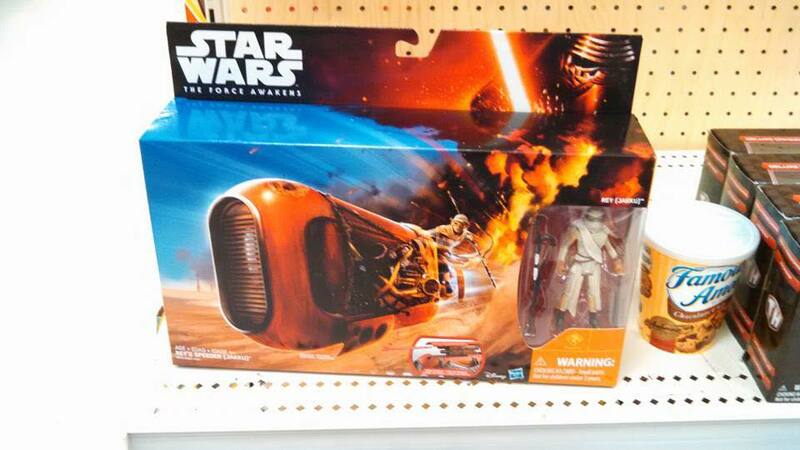 Even more store leaks this week for The Force Awakens action figures! This time it is a 3.75″ scale Rey-and-speeder set. This is one of the coolest items that will be released on Force Friday in my opinion. Notice how this is a completely different Rey action figure then the single carded one–her hood is up on this figure and it looks like she is positioned to sit on her speeder. Click HERE for the original article.